Every turn, every lap, every set, every practice. Everything counts. On the blocks on race day, what you've done in the pool all season long determines your performance. 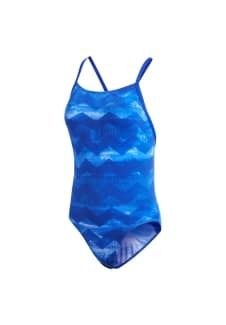 This women's swimsuit with chlorine-resistant fabric with a dry, soft touch keeps your focus on your training. The suit has a compression fit for a locked-in feel and full freedom of movement. 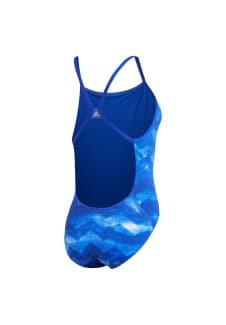 It features UPF 50+ UV protection for outdoor workouts and a graphic inspired by the Adizero line of competition suits.